Several medical devices known as spinal fusion stimulators have been recalled after doctors found the implantable devices caused harmful chemicals to reach toxic levels in some tissues and organs. The FDA has identified this as a “Class I Recall,” which is the most serious designation. 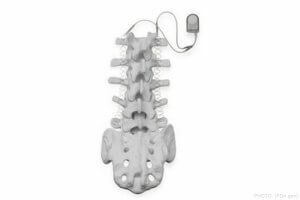 Spinal fusion stimulators are designed to provide electrical stimulation to a surgical site, increasing the possibility of permanently connecting bones. However, several stimulators manufactured and sold by Zimmer Biomet have been linked to serious health consequences. The recall affects the company’s SPF Plus-Mini and SPF XL IIB implantable spinal fusion stimulators. The company said problems with these devices first arose during a routine monitoring procedure, and the defective devices could cause adverse side-effects including long-term hospitalizations, additional surgeries, chronic infections, paralysis, or even death.